The smell of bacon and fresh coffee, eggs sizzling in a pan, freshly buttered toast and reading the Sunday papers. The ideal way to end a week? Not for me. I prefer the two hours I spend outdoors on the rugby pitch teaching teams of six-year-old kids how to play rugby. Aside from the rewards that teaching anything (worth learning) brings to both student and teacher and getting to spend time with my own 6-year-old, the more time I spend out on the pitch, the more I learn myself. What about? 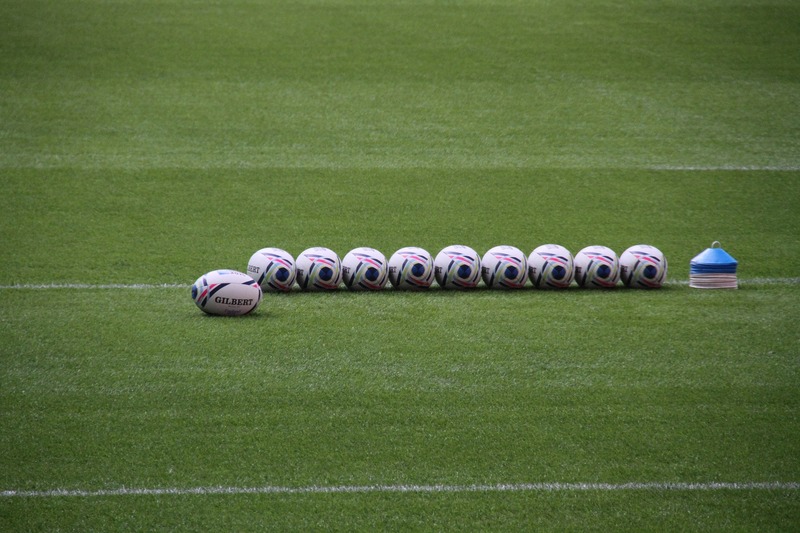 Well, there is the obvious, such as the laws of rugby, the mechanics of the game and the basic skills one requires. More importantly however the experience I gain from having to deal with behaviours that I am confronted with is invaluable. I am finding that these experiences and lessons are adding value to other areas of my life – most notably managing a team of adults in the workplace. How can this be so? What can 20 six-year-old kids teach you to deal more effectively with? Let’s take a look. Sometimes you need to work with what you’re given. In the corporate world – ideally – you get to choose the teams you work with. You interview and select new hires that you think can do the job and fit into the organisation. Unfortunately, this is not always the case and you’ll often end up with team members you might not have chosen. Think of restructures, placements, and sometimes even client resources. And so it is with children’s rugby. The parents of the kids are choosing for them to be there, not you. This means a mixed bag of abilities, personalities, and attitude. You need to work with them all, take the good with the bad. Don’t focus on trying to improve individual’s weaknesses, rather identify their strengths and build on these. Even top performers have bad days. Every business has its star performers, just like every sports team does. But sometimes those stars are going to have a bad day. It might be a bad game for a sports star or a bad project for a team member. What’s important is how your top performer deals with and learns from this. Peer pressure counts for more than you think. It shouldn’t be surprising to see how an influential individual or group often affects the behaviours of the larger group. It only takes one kid to start running around the pitch screaming and shouting that his hair is on fire and soon they’ll all be doing it. In organisations, this is known as company culture. This can often scuttle projects or initiatives and needs to be carefully understood and managed. New joiners very quickly pick up the habits of the larger group. Hopefully, they are more positive than negative, but it’s usually a mix. Everybody has baggage. Everybody brings along his or her own idiosyncrasies, whether it’s a 6-year-old or a 40-year-old. It could be a parent’s insecurity or a failing in a previous job. These things contribute to who that person is today, and these are the things you as a leader and coach have to deal with on a regular basis. The key to dealing with these idiosyncrasies is understanding where they came from. If the player is a bad sport, chances are that one of the parents is the same. If a team member constantly takes on too many tasks, it could mean they have problems delegating. Are these things that can be changed? If so, address the cause and not the symptoms. Some, you won’t be able to change. Accept this and move on. Commitment varies – not everyone is there because they want to be. While this is especially true in children’s sports – because let’s be honest, some of the kids are pushed into activities by their parents – the same can be said for corporate environments. While most employees choose their jobs (to a degree), some don’t want to be there or are there for the wrong reason. “It’s just a job”, “It pays the bills”, or “I’m only doing it because I couldn’t get the job I wanted” – all things that are heard around the workplace. The downside of these types of team members is that they can have a disruptive and negative impact on the balance of the team and these situations need to be carefully managed. One approach (see the next point for more detail) is to get these team members engaged – have them realise the value in being part of the team. Team members need to be engaged. Anyone that is not actively involved in the game will quickly get bored. This is true of both your strong and weaker team members. Keeping all engaged is important and it’s also the best tactic to get disinterested people involved. One of the best methods I have found for doing this is giving the team member more responsibility, especially when this involves shaping the future of the organisation or team. It’s not always about talent. Don’t get me wrong – talent is important, but it will only take you so far. I’ve seen less talented individuals progress much further than their more talented counterparts, both in sports and in corporate organisations. Often, less talented team members will put in a greater effort too. It’s, therefore, important to realise the relative strengths of individuals and look to grow these, rather than trying to improve their weaknesses. A team requires balance. The Dreamer, The Do-er, The Class Clown. Every team needs them. As long as they have a positive impact. Some like to lead, others are happy to follow. At the age of six (and before), some natural leaders begin to emerge. The same is true in an organisation and your job as a leader is to develop other leaders, not followers. If you are a good leader, people will naturally follow you. Identify these leaders early and begin to develop them. You can’t win without an aligned team. Sports or work, everyone needs to be moving in the same direction. Make sure everybody knows and understands what the goal is. Repeat it often. Being placed in a leadership or coaching position is a fantastic opportunity, but it’s also a lot of hard work. It’s certainly rewarding when you see the results at the end of a season or the end of a year. So, where to from here? It’s the end of the season and I’m so proud of what the kids have achieved. They’ve learnt the concepts of running channels, passing the ball, and catching it. Some of the basic skills that they can build their rugby careers on. I’ve learnt a lot and I know this will help me be a better coach next season as well as a better leader at work.